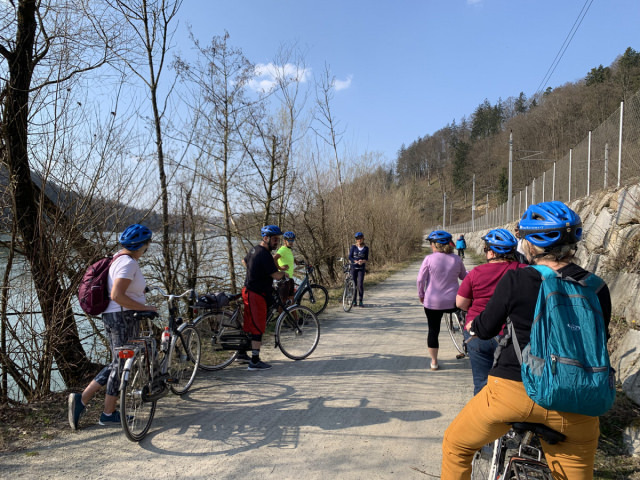 I spent my second day aboard AmaViola in Passau, where I signed up for a bike tour. 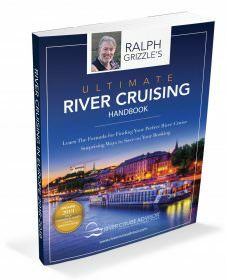 One thing that I love about river cruising is the option to be active – and it seems like most people on this sailing would have agreed with me. The sailing was a bit of an anomaly because many of the guests were young – meaning that more than 50 percent appeared to be in their 40s, 50s, and early 60s. That was fine with me. I do not necessarily prefer certain age groups to others. It is always more about people’s mindsets and spirits than it is their demographic. Having a group of young people on this trip did change the feel of the cruise, though. In this case, there were more people who signed up for active excursions than other types of excursions. I was curious to see how the active excursions were executed. Were they genuinely active? What skill level is needed to participate in a guided bike tour or hike? 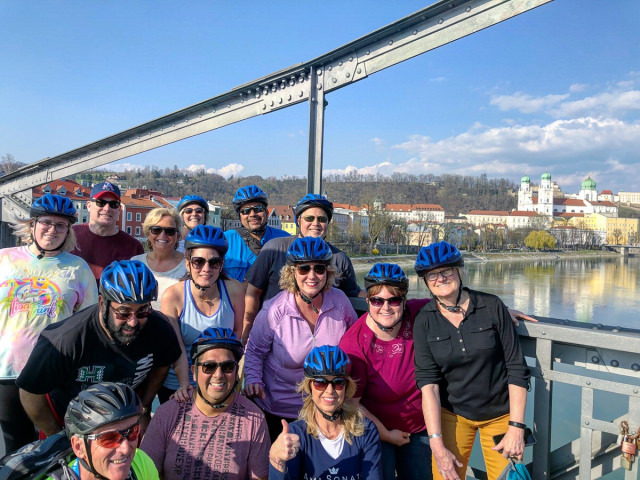 How fit do you have to be to enjoy AmaWaterways’ active excursions? With those questions in mind, I signed up for my first active excursion, a bike tour in Passau. There is no one size fits all excursion – and even within the same excursion, people are going to take in different sites and pace themselves differently. Active excursions are no different. These excursions come in the form of bikes or hikes, and I will tell you that as long as you know how to either hike or bike, you will be fine. My bike tour in Passau was a little bit slow for me in the beginning. It seemed like many people that signed up for the tour didn’t have a lot of confidence on bikes, or that maybe it was something that they hadn’t done in a while. As we progressed, our pace picked up, and half of our group even sped up to take a quicker ride while the slower riders stayed behind. On each AmaWaterways bike tour, there are at least two guides. One in the front and one in the back. This allows passengers to stop and take photos while they bike, or to take things slowly when biking harder parts of the path. This is why I say that as long as you know how to bike, you should be okay. You can stop to catch your breath if you need to. The only thing to be wary of, though, is the distance. The bike tour I did was 13 miles, and there was a longer one another day that was 20. If you think that stamina is going to be an issue, you may be better off doing a walking tour. I would highly recommend doing the bike tour, though, if you are able. Especially in Passau. 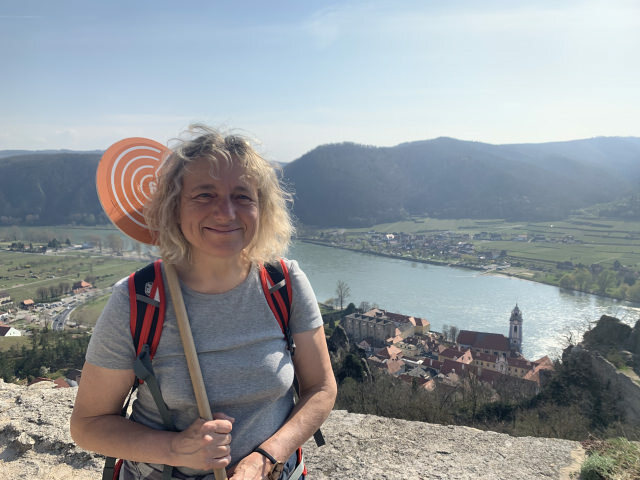 We did half the tour in Germany, and the other half in Austria, as Passau is near the Austrian border. A cool story to tell your friends back home. I only did one hike while I sailed aboard AmaViola and I will tell you, it was not easy. Rated at a level five difficulty, I should have known that it was going to be challenging, but it was harder than I thought it would be. Another couple, aged 69 and 70 had done a hike a few days earlier, and were unchallenged by the hike but amused by their guide and the views that the castle hike provided them. They said that the hike was not difficult, but that they enjoyed the time walking and seeing the sites from above. My hike was fairly difficult. It was so steep that we had to take multiple breaks on the way up. There were only three of us – me, and a mother-son duo aged 17 and 50. And while we could scale the mountain, I don’t know that an older passenger could. The best part of the hike for me was our guide. Because there were only three of us, our guide was able to give us the specific information that we wanted to know. The 17 year old was learning about World War II in school, so he asked a few questions about Austria during the war. We also talked a bit about the current political climate in Austria, and past relations between Germany and Austria. Apart from the guides on these tours, though, it was really nice to get out and be active. Oftentimes when people think of river cruising, they think about old people sitting in lounges taking in the sites around them. While that can definitely be the case with some travelers, AmaWaterways seems to pull out a more active crowd. 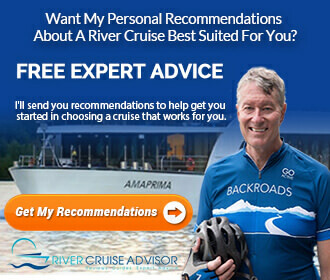 In fact, one of my fellow passengers stated that he chose to go with Ama over another cruise line because he had heard about their active programs. The best part about the tours with AmaWaterways in general is that they span a range of abilities and personal interests. Gentle walking tours are offered for passengers with mobility issues, active exursions are offered for guests who want to get out and move, and walking tours are offered for guests who want to gain historical insights and see well-known sites. Enjoyed your article, Britton. 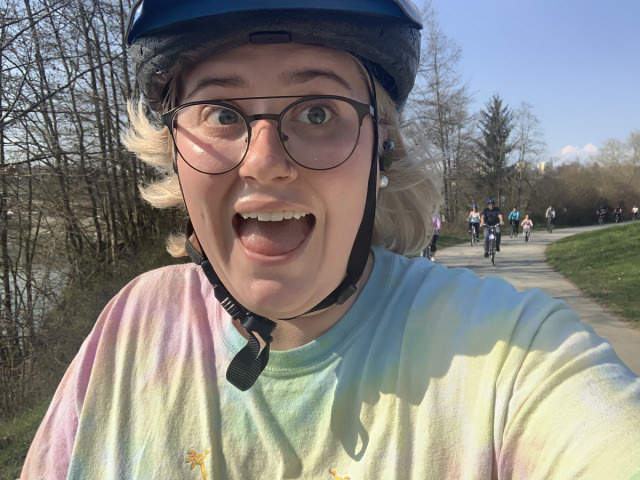 Looks like the weather was perfect and I especially liked the time lapse bike ride!